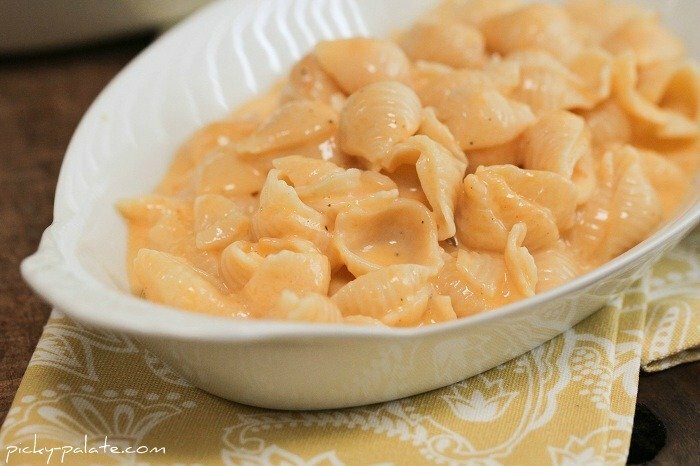 5-Minute Mac & Cheese from Picky Plate. Who needs that stuff in a box when this is so easy and delicious?! Start with cooked pasta and 5 minutes later… yum! Red, White & Blue Pancakes. Holiday or not, kids will love helping with these fun, fruity pancakes. Great for breakfast or dinner! And you can mix up the fruit seasonally to keep things interesting. 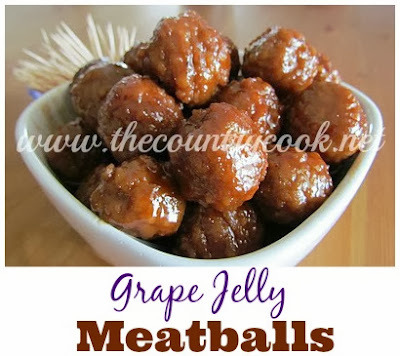 Grape Jelly Meatballs from The Country Cook. This classic appetizer is great for kids to help with. It’s great to see how proud they are when they usher all the guests to the table with the meatballs they made! Peasant Bread from Alexandra’s Kitchen. At first glance, this recipe looks a bit fussy for kids, but it’s really very simple. 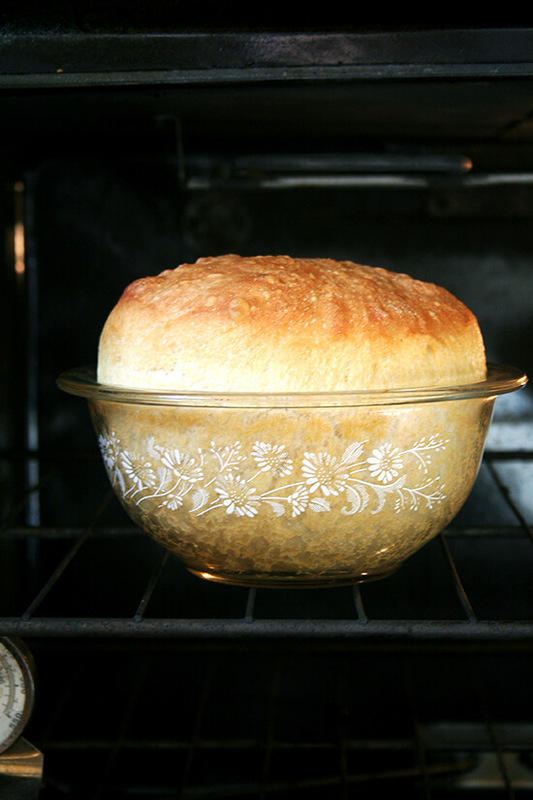 The details are just tips and tricks the author learned over years of making this bread. Little ones will be astonished at how the bread changes all by itself! 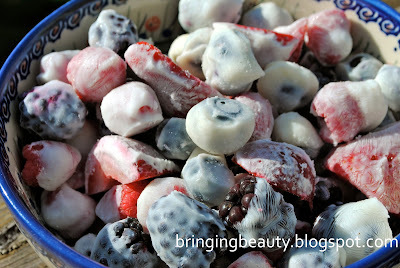 Frozen Yogurt Berries from Bringing Beauty. This no-bake, healthy treat is great for summer, or all year round. Kids will love dipping the berries in the yogurt and laying them out. The only hard part is waiting until they’re frozen to eat them! Underwater Jell-O Treats from Bombshell Bling. Check out these adorable dessert cups! What kid wouldn’t love putting fish “under water” and creating icebergs or waves on top?! No matter what you cook, kids in the kitchen can be a lot of fun. Messy, but fun. What are your favorite things to cook with your kids? Share in the comments.